Every year there are new travel gadgets and gear upgrades coming on the market. A quick “travel” search on Amazon will almost always lead to 10 or 15 purchases. 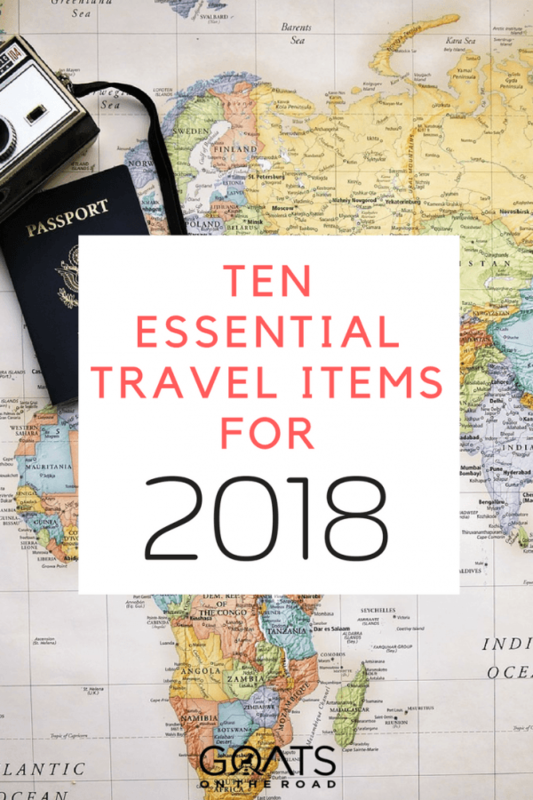 But not all of these travel items are actually worth packing and some of them may seem cool, but you’ll never actually use them. After travelling for nearly 10 years with nothing more than a 40 liter backpack, we’ve learned to really minimize our travel gear. But that’s not to say we don’t have a few luxury items in our bags. 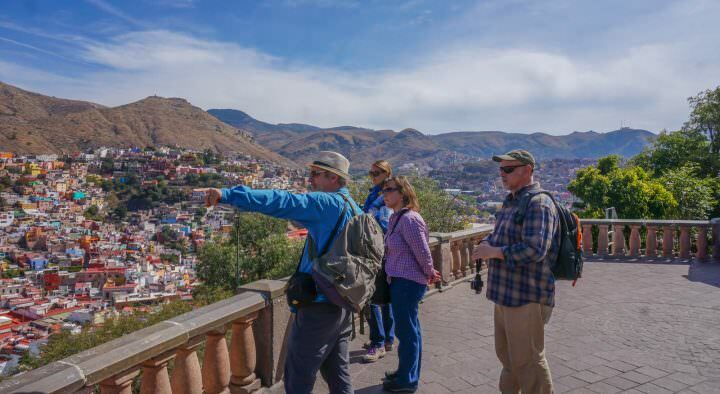 There are some things in our packs that you’ve most likely never heard of, and others that are common, but we feel they should be obligatory for long-term travel. 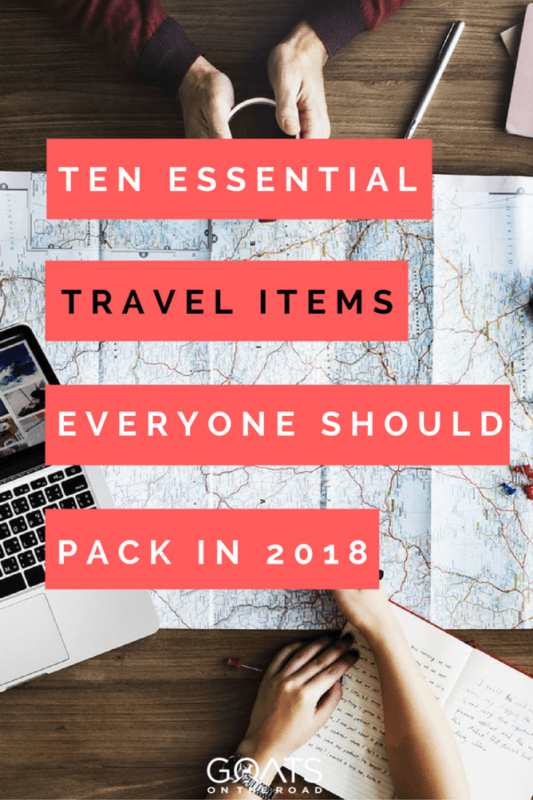 In this article I’m going to list 10 of the best things we have in our bags, as well as some things we’re planning to buy in 2018. These are items that we couldn’t travel without and we don’t think you should either! Note: The most important thing you travel with is your backpack itself. Don’t miss our buyers guide for the best travel backpacks of the year and make sure your pack does everything you want it to. We absolutely love the Handpresso, a compact, hand pump espresso machine. As coffee lovers who aren’t crazy about brewed coffee (we only like lattes), this is one travel item that we wouldn’t leave home without. Simply pump it 30 times, add hot water and a pod of your favourite coffee and voilà, you’ve got the perfect cup of espresso. 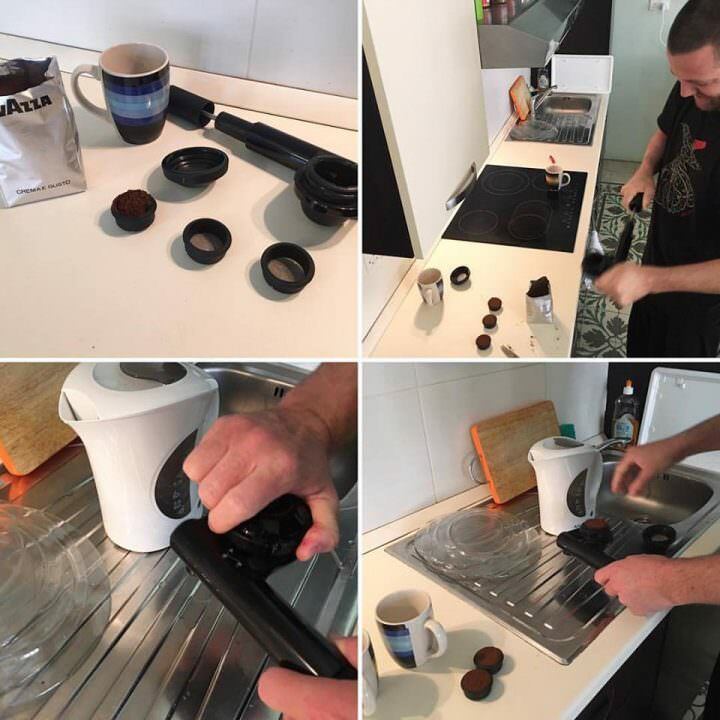 For budget travellers who find themselves ordering lattes at coffee shops everyday, the Handpresso can be an enormous money saver. Just think about it. One large latte at Starbucks is around $3.65. We purchase a bag of ground espresso coffee at the grocery store for just $4.50 and that bag makes around 40 cups of coffee. Add a bit of milk and we calculate that we’re not paying more than 15 cents per latte. If a person who normally orders 1 large latte from Starbucks every day, decided to use Handpresso instead, they’d potentially save up to $105 per month on coffee. That’s enough to pay for the Handpresso Pump itself! Aside from the money savings, we just love this little pump. We purchase delicious ground beans from all over the world. Colombian dark roast in Colombia, rich Java from Indonesia and tasty espresso from Italy. We wake up every morning and instead of walking to a coffee shop or conglomerate, we make lattes right in our rooms and drink them on our deck. If you love espresso, then you should travel with a Handpresso pump. The only real downside to them is that they’re quite heavy at around 800 grams. Even though we only travel with 40 liters, we still find space for this essential item.  Bonus Hack: Pick up a boil coil on Amazon as well. This handy little gadget can boil water in minutes and is super compact. Simply plug it in and add it to a cup of water and you can have boiling hot coffee in no time. The boil coil is also great for tea, cooking a cup of noodles or even for making hard boiled eggs. We still swear by these things. They keep your bag organized and ensure that everything is compressed down so that you can pack more in your bag than you would by just rolling clothes and stuffing them inside. 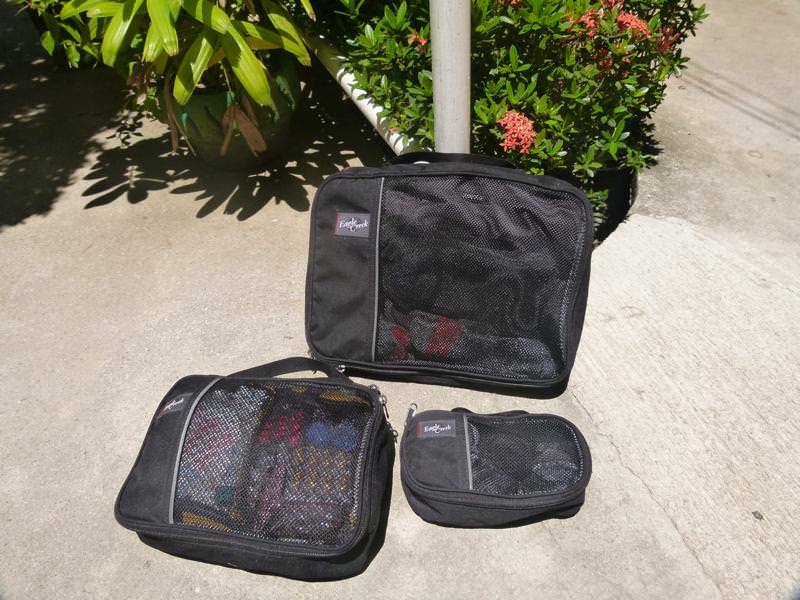 We purchased Eagle Creek Zipper Cubes and they’re incredibly durable. We’ve had them since 2010 and we’ve packed them so tight that we’ve had to kneel on them and pull on the zippers just to do them up. To this day, the zippers have held up and they’re still working like new. There are a lot of these brands on the market, but the only ones we’ve ever used are Eagle Creek and we know that they last. 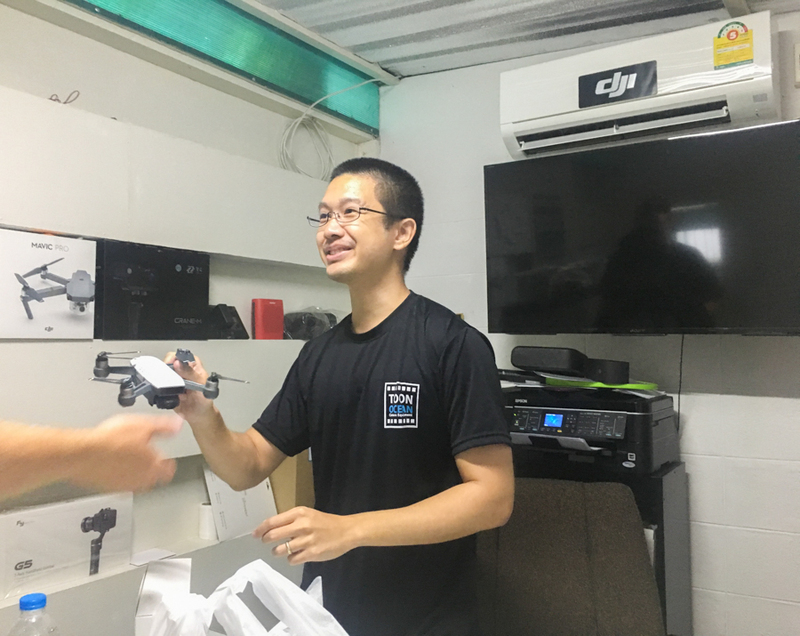 When we first bought our DJI Phantom 3 back in 2014, drones were mostly reserved for professional videographers, vloggers and bloggers who wanted arial photography. These days, drones have become smaller, more durable and easier to fly. The DJI Spark is so tiny that it can pretty much fit into any backpack or luggage. It comes with a hard foam case to keep it protected and it takes great videos and photos. If you like to get unique photos while you’re travelling, then this thing is perfect. It sets up in minutes, can be flown using just a smartphone and has a bunch of cool features like follow me, hand gestures and point of interest. The drone can be flown by a 12 year old and DJI has made it very simple to get excellent cinematic shots. If you’re a new blogger, I definitely recommend picking one of these up. At just $400 you really can’t go wrong. But even if you’re not a blogger, the DJI Spark is perfect for getting cool video clips and beautiful photos from the sky while you’re travelling. Believe it or not, Dariece and I didn’t travel with a power bank until mid-2017. I really don’t know how we did it. iPhones and other devices barely last a day, so we were always walking around with electronics that were completely dead and useless. Today we travel with 3 different power banks, in 3 different sizes for different situations. 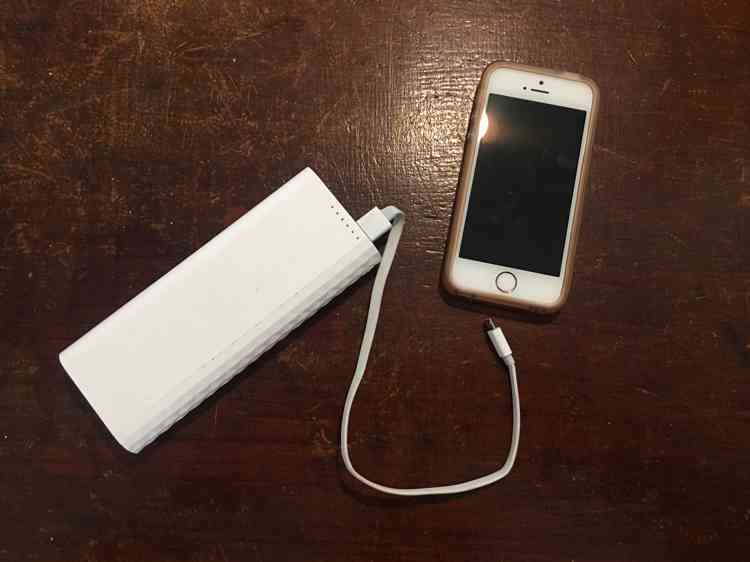 There’s no need taking out the heavy power bank if you’ll only be gone for the day, and the smallest one we have only charges the iPhone to 50%, so we only use that one if we’re running out the door and we realize our phones are dead. The first power bank we have is the TP-Link Power Bank (pictured above) which has 20,100 mAH, enough to fully charge our iPhone 6s Plus 3 times over (nowhere near 6.5 times as the manufacturer claims). Our second powerbank is the Mi 10000 Power Bank. It’s half the size of the TP-Link, and this one fits in our pocket and charges the iPhone 6s Plus about 1.5 times. Finally we pack the Travel Card. This thing is about the size of two credit cards stacked on top of each other, but it doesn’t hold much charge. If we’re lucky, it’ll give the iPhones a 50% charge, but we can only usually rely on it for around 35%. Still, it’s great if we just need a quick boost in battery and don’t want to carry around anything heavy. Note: Travelling with carry-on luggage makes flying a lot less stressful. To figure out whether or not your luggage will meet the restrictions of the airline you’re flying with, check out this carry-on size chart which shows the allowance of 170+ airlines. I wasn’t sure what all the fuss was about surrounding “noise cancellation” until I tried on a pair of Bose Quietcomfort 20 Noise Cancelling Earbuds. These things are super comfortable and they actually cancel out most noise from around the room or airplane. The best part is that you don’t have to actually listen to music in order to cancel out the noise. You can simply put in the earbuds and turn on the noise cancellation feature and the earbuds will scan the audio climate in the room and counteract any noise by sending the opposite signal into your eardrum. They work like a charm and really need to be heard to be believed. 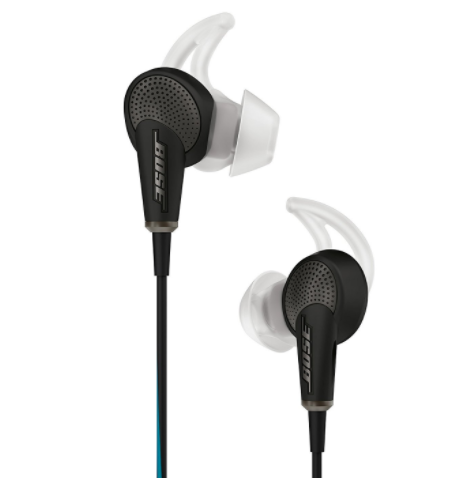 Oh, and they’re Bose, so you know they sound amazing when they’re playing music. Continuing on the theme of blocking out unwanted sound, I wouldn’t travel without a good set of ear plugs. 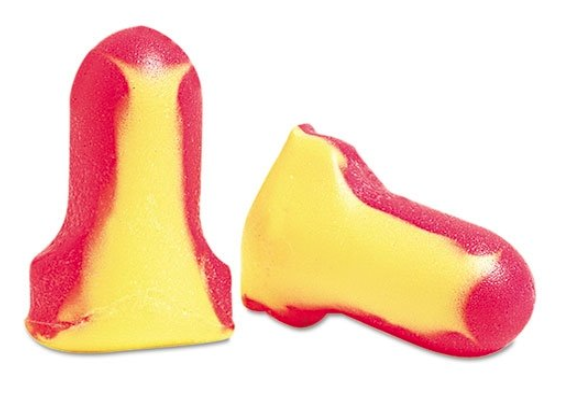 When I have the opportunity to order my favourites from Amazon, I always choose Laser Lite Foam Ear Plugs. They’re soft, comfortable and block out the most sound possible without hurting your ears. You can pick up a pack of 200 of them for just over $20 and they’re worth every penny. To get the most out of them, you’ll have to pinch them down and insert them into your ear, and then let them expand deep within the canal.  Bonus Hack: Put in your laser lite ear plugs and then use ear cancelling headphones or earbuds as well. The combination of the two will drown out any crying babies, loud music or even barking dogs when you’re trying to get some shut eye. Every traveller needs to be carrying a good pocket camera. If you really don’t care about what your photos look like and never plan to take pictures in low light, then your iPhone or Android device should do the trick (assuming it’s a newer model with 10+ megapixels). 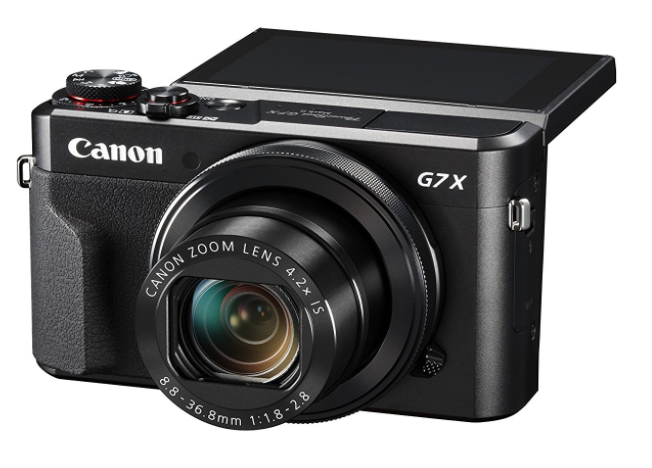 If you want to take some better photos and great videos while you’re travelling, without packing the size and weight of a full DSLR or mirrorless, then I recommend the Canon G7x Mark II. This camera has some incredible features, takes great photos (when not in Auto mode), and produces some of the best video of any camera in its class. If you’re not a Canon fan, then you may want to go with the Lumix LX10. This one outdoes the G7x II with 4K video and rack focusing photography, meaning you can take the photo now, and decide where to focus later. A great feature that’s definitely worth the money. Also, the LX-10 has a Leica lens which promises clearer, more crisp photos. I’m going to be upgrading our camera in the next few months and there’s a good chance I’ll go with the Lumix, but having used the G7x Mark II for over a year, I can say it’s an excellent camera and I highly recommend it.  Bonus Hack: Both the G7x II and the LX10 lack an external mic port. If you plan to do any video with these cameras, the built in mics sound terrible when there’s even the slightest bit of wind. The solution is to pick up a small mic muff, cut out a piece and glue it over the built-in mic at the top of the camera. The sound becomes less tinny and the mic works amazingly well in windy conditions. I can’t speak highly enough about these amazing travel shoes. 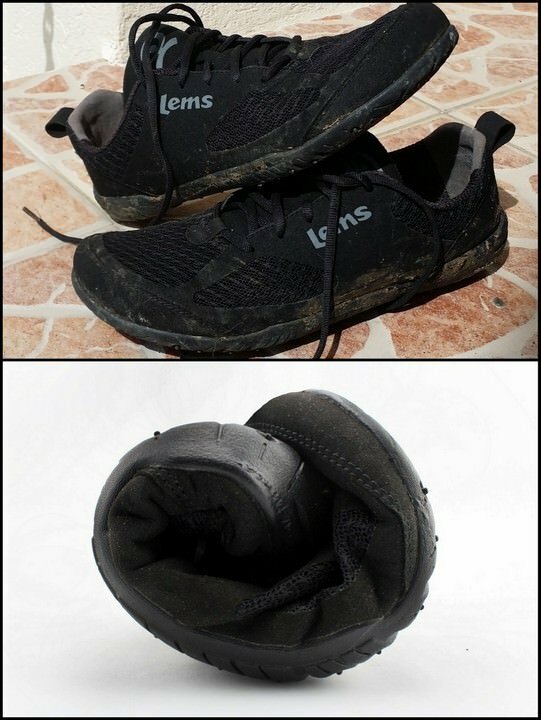 My Lems Shoes have lasted me for over two years and I wear them quite a bit. They’re extremely comfortable, can be used in place of dress shoes and running shoes in most cases and the best part is that they roll up into a ball for easy packing. Without a doubt these are the best shoes I’ve ever owned and if they ever wear out, I’ll buy another pair right away. For men and women, these are simply the best travel shoes on the market. I have to be honest, we promised ourselves we’d pick up one of these things after Turkish Airlines lost our luggage back in 2016. We “forgot” to buy one and in December of 2017 Alaskan Airlines misplaced our luggage. On both occasions, we were able to get our luggage back in a week, but it’s that horrible feeling you have that you’ll never see your backpack again. If we had a luggage tracker in our bags, we would have known exactly what airport they were at and we could’ve even told the airline so that they could retrieve it faster. Needless to say, we plan to buy a luggage tracker in the new year and never lose our luggage again. 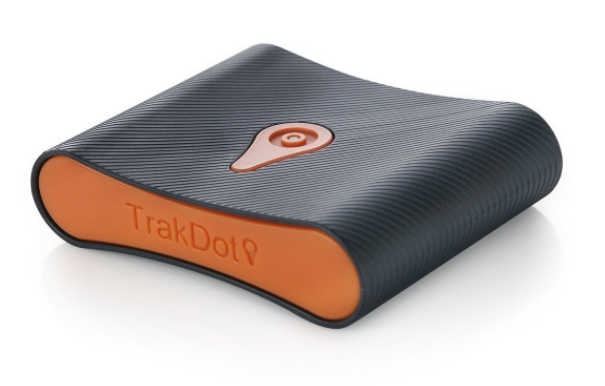 During my research both in 2015 and this past few months, the Trakdot consistently tops the lists as the most recommended luggage trackers on the market. There are two main downsides to any luggage tracker, one is that their batteries can run out if you forget to charge them and then they’re completely useless, and two is that they usually come with a paid yearly subscription (Trakdot is $24.99 per year). Either way, at this time there’s no better solution to lost luggage, so if you care about your bags as much as we do, it may pay to pick one of these things up for around $40 and put your mind at ease. Everyone these days travels with Bluetooth speakers. 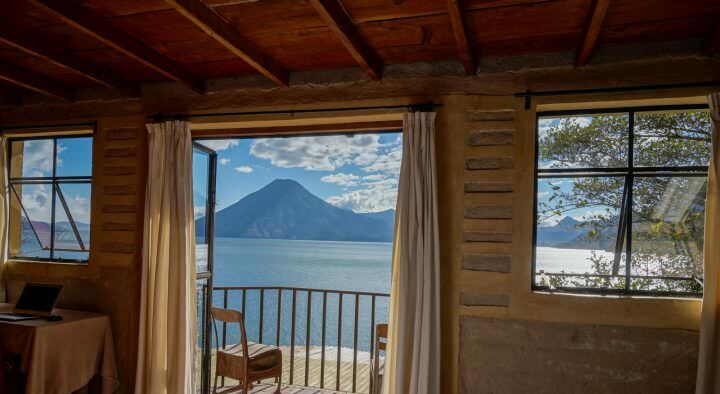 When you’re getting ready to go out for the night or just chilling on your beach hut patio looking out at sunset, having a bit of music playing in the background can really set the mood. Not just any bluetooth speakers will do either. You’ll want to have a nice mix of durability and excellent sound. 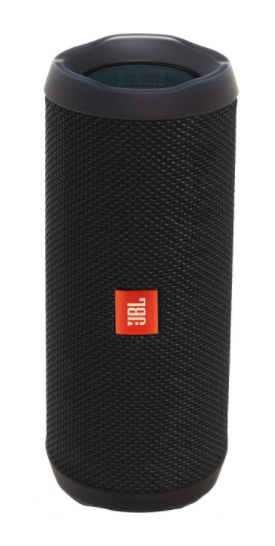 We currently have the JBL Splashproof Portable Speaker, and it has amazing sound. Plus, we use it with wet hands at the beach and it hasn’t been damaged yet. The latest model, the JBL Waterproof Flip 4 Speakers are so waterproof that you can even submerge them in water and not ruin them, plus they’re lightweight and very durable. You can take them to the beach and not worry about them getting wet or sandy and they sound crystal clear. For just under $90 on Amazon, they’re also an excellent deal. If I was going for pure sound quality and didn’t care about weight and size, I would go with the Soundlink Mini II Limited Edition. They’re still small enough that you can travel with them, but at a pound and a half they’re quite heavy, plus they cost around $200. If you don’t mind the extra half pound in weight and don’t care about waterproofing, they’re probably your best bet for sound quality. 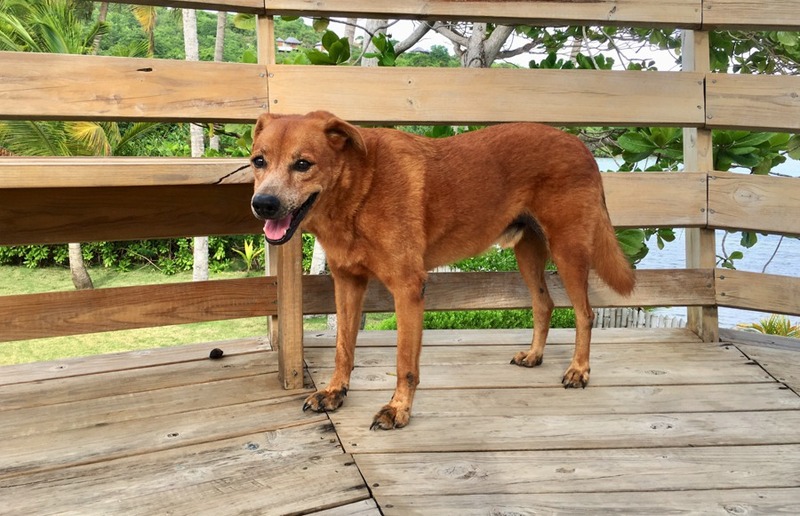 Travelling with a pet? Make sure you grab these essentials. Don’t forget to bring immunizations records, a suitable crate, and a blanket if your pet is cleared to sit on your lap. Always bring a few treat options, a chew toy, and waste bags just in case! If you have an emotional support animal and flying within the US, you should be able to carry your ESA in-flight according to the Air Carrier Access Act. Most airlines require these things: ESA letter from your Licensed Mental Health Professional, pet health form signed by your veterinarian, and a behavioral form. You can learn more about emotional support animals and the air carrier access act here. It’s amazing how a well-packed bag can help make travel more enjoyable. Packing the right gear can save you time and money, make for nice ambiance and keep you comfortable on the road. 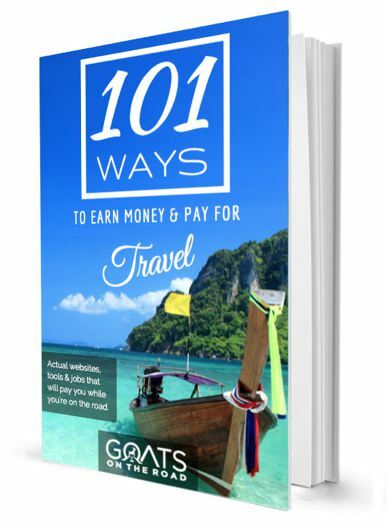 Make sure you check out our packing lists: The Ultimate Packing List For Full-Time Travellers, Travel Packing List for Men, and our Travel Packing List For Women for more great packing ideas. What are you favourite travel items? Surely you have some things in your bags that you wouldn’t travel without. Share with us in the comments below and if we really like it, we’ll add it to this post! 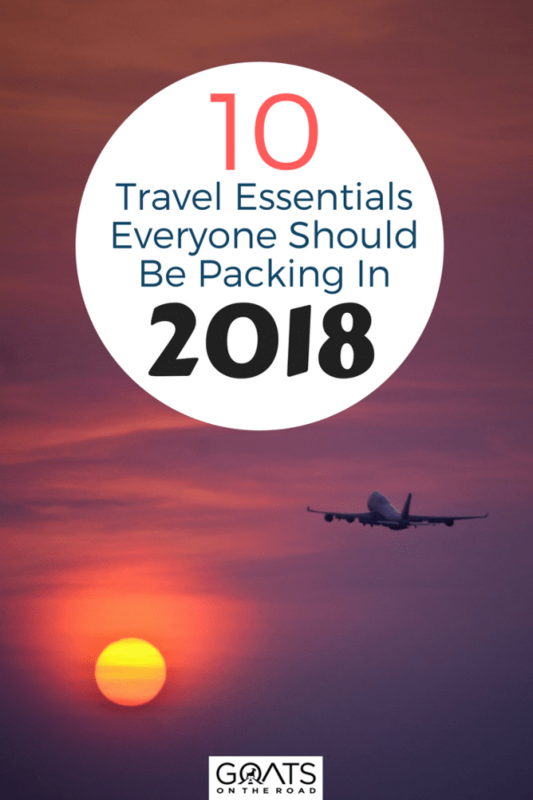 Such a useful list and great items to pack. It really helpful information for travelers and me also. Thank you so much for sharing it. thanks for your very informative articles written here. I make it a point to read them and share with my kids who will eventually travel on their own. I really enjoy your articles and even read most of the comments of common travellers and bloggers like you. Cheers for the next travels, pictures and infos you will share. Thanks for reading, sharing and commenting Marilyn! We really appreciate it. Great article. I loved it. I did not even know about the luggage tracker. Awesome. Good post, thanks. I’ll check into the shoes and the noise cancelling ear buds. Sounds like you don’t travel carry-on, interesting. I assume your backpacks are just too big? Thanks for the article! Which suitcase did you end up going for? I’m trying to decide also. 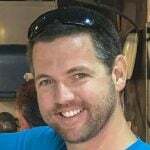 Here is an amazing post for backpacking. 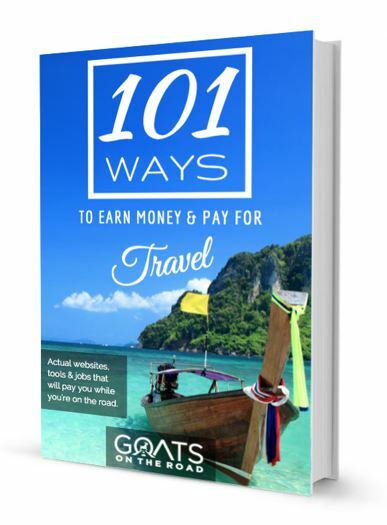 A perfect blog for a travel lover. please keep it up. Thank you now I will have all my items for my trip with my friends✋✋.